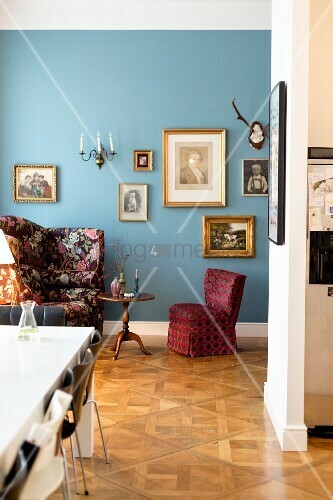 When two decorators and color experts start a family the result is - a harmonious mix of old and new. One of the children's rooms is solely used as a playroom, with a miniature shop, reading corner and lots of stuffed animals. Another combines modern classics with heritage pieces. All are unified by colour.